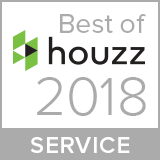 Monique’s Bath Showroom Gets Voted Best Of Houzz.com! © 2019 All Rights Reserved. Monique's Bath Showroom, Inc. Website Design & Online Marketing by EarnMoreDoLess.com. Get Our Ultimate Planning Guide And Have A Chance To Win $500 Today!